Tragedy is a common experience that causes many believers to feel betrayed by God. Job was declared righteous by God, yet suffered a series of horrible tragedies. Most people are ill prepared to deal with tragedy, resulting in bitterness that hinders their faith and growth. Like Job, they cannot understand how a benevolent God can allow evil things to happen to good people. Job's friends come to comfort him in his distress, but instead, attack him viciously because their creed declares that he must have blasphemed and sinned to deserve this punishment. Job held the same beliefs, but denies any wrongdoing, and ultimately sues God for a reason for his suffering. God then asks a series of questions that for Job are unanswerable. But modern science knows the answers to God's questions. This gives rise to a surprising eschatological interpretation. 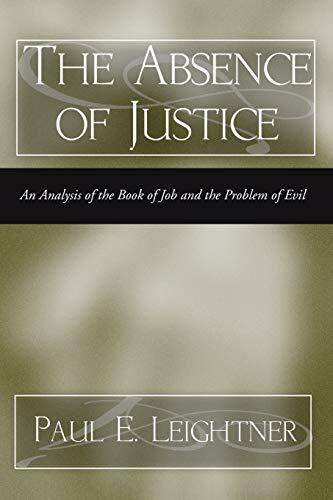 This book develops a solution to the age-old problem of evil.